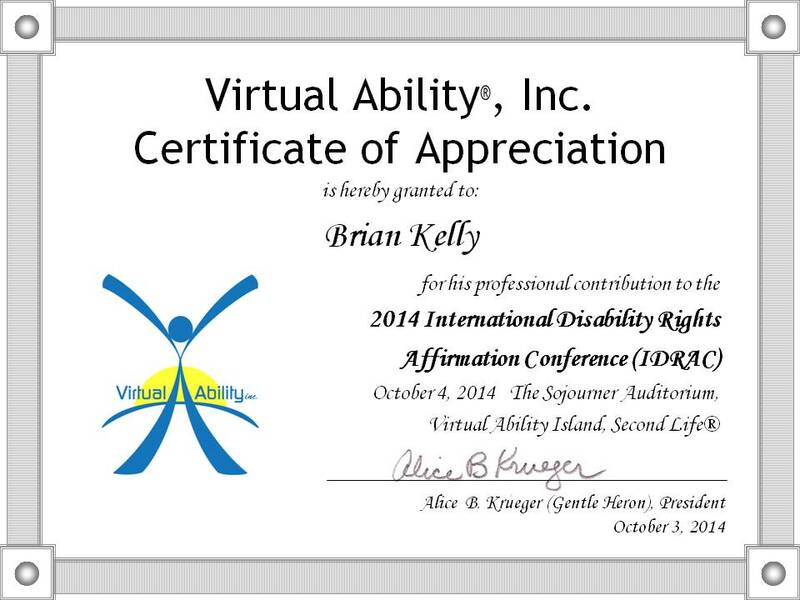 Event details: IDRAC 2014 (International Disability Rights Affirmation Conference) to be held in Second Life. The conference theme is “Technically, we’re accessible….right?” Exploring True Inclusion in the Digital World“. Date and time: Saturday 4 October 2014 at 17.30 BST (9:30am US Pacific time). Web accessibility is not an intrinsic characteristic of a digital resource but is determined by complex political, social and other contextual factors, as well as technical aspects which are the focus of WAI standardisation activities. It can therefore be inappropriate to develop legislation or focus on guidelines only associated with properties of the web resource. The limitations of standards based solely on WCAG conformance are increasingly becoming appreciated, especially in uses of the web beyond simple provision of information, such as learning, arts and culture. In this talk the speaker will review his previous work in this area and describe how, in the UK the BS 8878 Web accessibility code of practice provides a process-based standard which provide the flexibility to ensure that resource-based standards, such as WCAG, are used in a way which caters for the diverse range of contexts in which the web is used. In addition a backup copy of the slides is also available on Authorstream. Brian received the following badge following his presentation at the conference.